This is a list of sovereign states and dependent territories in Africa, with information about their respective capitals, languages, currencies, population, area and GDP per capita. It lists 54 sovereign states and 10 non-sovereign territories. The following 54 fully recognised states are all members of the United Nations, and all except Morocco are members of the African Union. The following are states that have established themselves in Africa as sovereign states, but remain limited in official recognition. The Sahrawi Republic is a member of the African Union. There are 10 non-sovereign territories. This list contains territories that are politically administered as external dependencies. ^ a b c d Part of Spain. ^ Currently an overseas department of France as of February 2011. ^ Overseas department of France. ^ "Member States". United Nations. Retrieved 28 July 2011. ^ "Member States". African Union. Retrieved 15 July 2011. ^ "African Union Welcomes South Sudan as the 54th Member State of the Union". StarAfrica.com. 27 July 2011. Retrieved 28 July 2011. ^ "The World Fact book: Algeria". ^ "The World Fact book: Angola". ^ "The World Fact book: Benin". ^ "The World Factbook: Botswana". ^ "The World Factbook: Burkina Faso". ^ "The World Factbook: Burundi". ^ "The World Factbook: Cameroon". 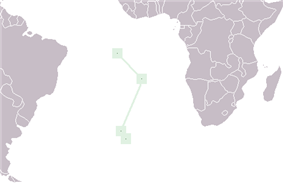 ^ "The World Factbook: Cape Verde". ^ "The World Factbook: Central African Republic". ^ "The World Factbook: Chad". ^ "The World Factbook: Comoros". ^ "The World Factbook: Congo, Democratic Republic of the". ^ "The World Factbook: Congo, Republic of the". ^ "The World Factbook: Djibouti". ^ "The World Factbook: Egypt". ^ "The World Factbook: Equatorial Guinea". ^ "The World Factbook: Eritrea". ^ "The World Factbook: Ethiopia". ^ "The World Factbook: Gabon". ^ "The World Factbook: Gambia, The". ^ "The World Factbook: Ghana". ^ "The World Factbook: Guinea". ^ "The World Factbook: Guinea-Bissau". ^ "The World Factbook: Cote d'Ivoire". ^ "The World Factbook: Kenya". ^ "The World Factbook: Lesotho". ^ "The World Factbook: Liberia". 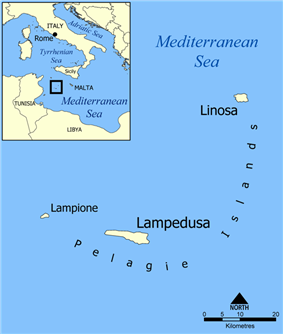 ^ "The World Factbook: Libya". ^ "The World Factbook: Madagascar". ^ "The World Factbook: Malawi". ^ "The World Factbook: Mali". ^ "The World Factbook: Mauritania". ^ "The World Factbook: Mauritius". 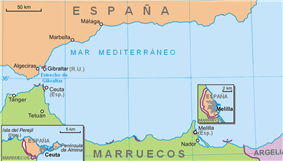 ^ "The World Factbook: Morocco". ^ "The World Factbook: Mozambique". ^ "The World Factbook: Namibia". ^ "The World Factbook: Niger". ^ "The World Factbook: Nigeria". ^ "The World Factbook: Rwanda". ^ "The World Factbook: Sao Tome and Principe". ^ "The World Factbook: Senegal". ^ "The World Factbook: Seychelles". ^ "The World Factbook: Sierra Leone". ^ "The World Factbook: Somalia". ^ "The World Factbook: South Africa". ^ "The World Factbook: South Sudan". ^ "The World Factbook: Sudan". ^ "The World Factbook: Swaziland". ^ "The World Factbook: Tanzania". ^ "The World Factbook: Togo". ^ "The World Factbook: Tunisia". ^ "The World Factbook: Uganda". ^ "The World Factbook: Zambia". ^ "The World Factbook: Zimbabwe". ^ "French Southern and Antarctic Lands". Retrieved 5 October 2014. ^ "The World Factbook: Saint Helena". 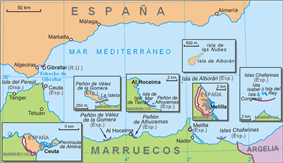 ^ a b "The World Factbook: Spain". ^ "The World Factbook: Mayotte".